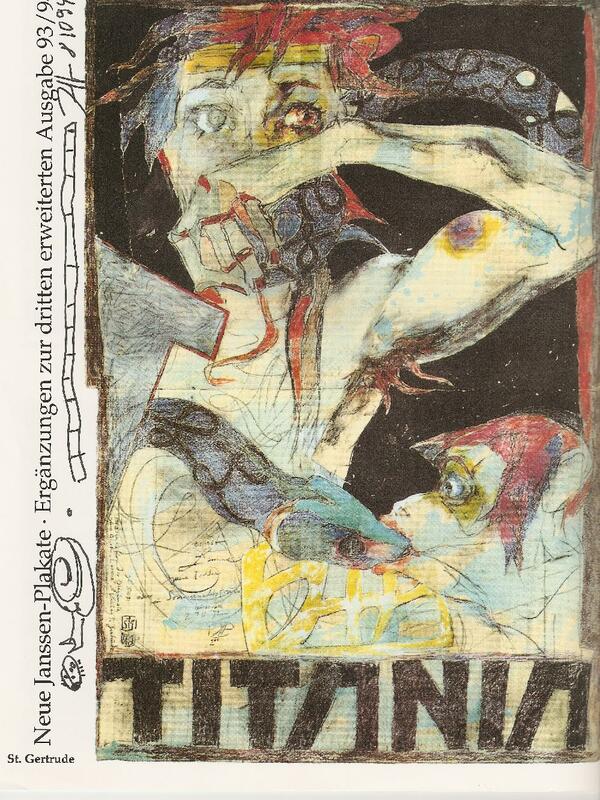 In 1994 I was attending the known bookfair in Frankfurt/Main and I have to admit, that at that time I did not really know about him , nevertheless was attracted by the nice posters and books shown at the stand. Grabbing into the exhibition I was disturbed by a crowd coming to the stand. 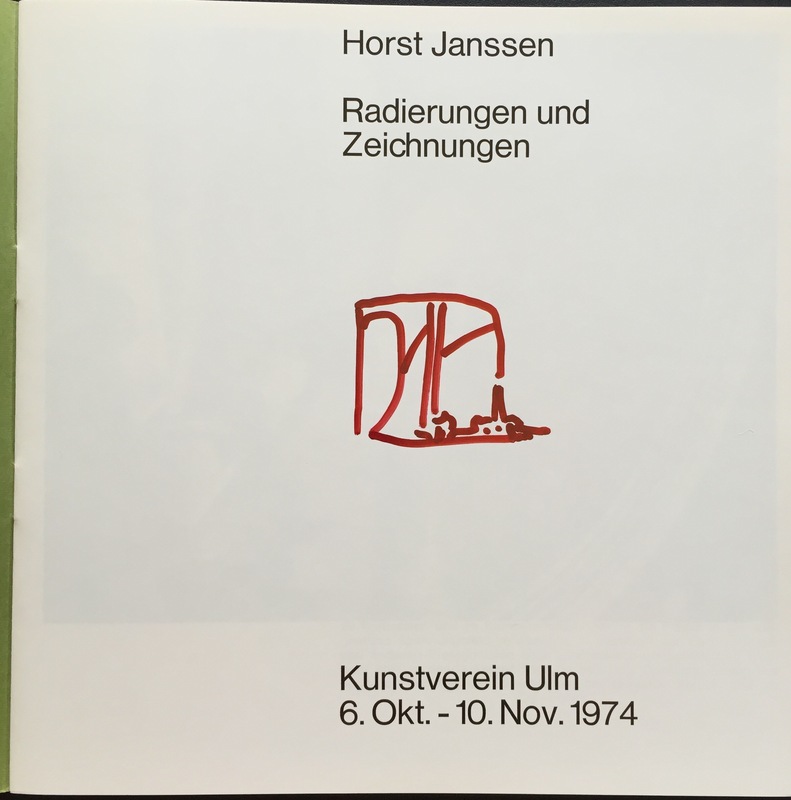 And… it was Horst Janssen himself. He sat down and started to sign posters, postcards and basically everything shown to him. Myself I was not prepared, so I took one of the papers on the stand and … this was the result: small sketch signed by the artist himself… a snake and a snail – I still hear him telling that to me when I watch this piece. One year after this meeting, Horst Janssen died.